Until about 40 years ago, people thought birds had no sense of smell. John J. Audubon, the great bird artist and naturalist, had said so in 1826, after conducting experiments with vultures. He hid carrion in bags, and when the birds showed no interest in the free meal, he concluded that they could not smell it. The experiment was faulty, and the truth wasn’t known for more than 140 years: Vultures could smell the meat alright, but it was too putrid for even them to eat. 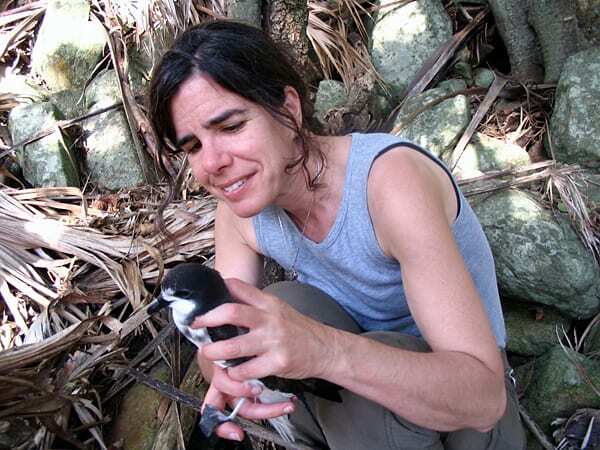 In the 1990s, sensory biologist Gabrielle Nevitt began to assemble pieces of the puzzle, showing that smell is key to the survival of seabirds that fly great distances over the open ocean in search of food. Nevitt built on groundbreaking efforts of earlier scientists who unearthed initial clues in the 1960s and 1970s: Physiologist Bernice Wenzel (University of California) discovered that several bird species actually could smell; writer Betsy Bang, with the Marine Biological Laboratory in Woods Hole, Mass., assembled an atlas of olfactory structures in seabird brains; and Tomas Grubb (Ohio State University) showed that two seabirds used their sense of smell. 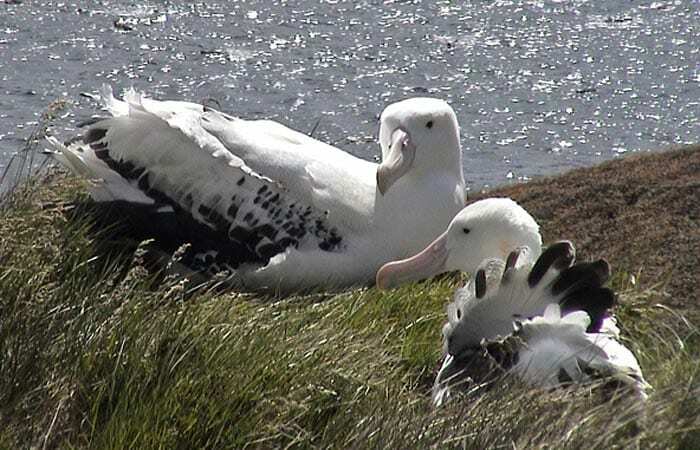 In the early 1990s, Nevitt, now at the University of California, Davis, began studying how albatrosses and petrels (also known as procellariiform, or “tubenose” seabirds) locate food in the ocean. The birds eat krill, shrimp-like animals that, in turn, eat single-celled marine plants (phytoplankton) at the base of the ocean food web. Patches of krill and phytoplankton are carried by currents, so foraging seabirds must find constantly moving, underwater targets in an otherwise empty expanse of sea. In the Southern Ocean, Nevitt demonstrated that certain birds gathered to a slick of crushed krill, while others did not. She encountered scientists who were studying a chemical called dimethylsulfide (DMS) in the ocean and atmosphere, including, later, biologist John Dacey at Woods Hole Oceanographic Institution. After experiencing the strong odor of DMS for herself, Nevitt began to think the birds were following DMS to find food. DMS is a gaseous breakdown product of dimethylsulfoniopropionate (DMSP), a parent compound made within phytoplankton cells and released into the ocean when the cells are broken up by zooplankton that graze on them. (See DMS: The Climate Gas You’ve Never Heard Of.) Nevitt reasoned that the presence of DMS could be, to the birds, a signpost for krill. The chemical concentrates in the air above areas where phytoplankton are abundant, including near seamounts and other places where nutrients rise to the sea surface. 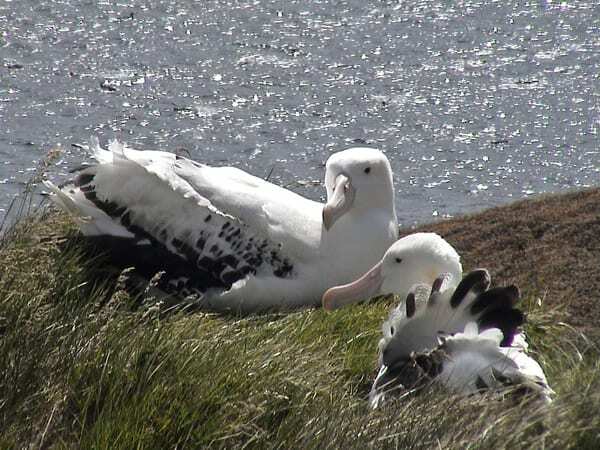 Nevitt has proposed that there are “olfactory landscapes in the ocean” that guide seabirds to prey. Recently, Nevitt worked with the research team of Henri Weimerskrich from Centre National de la Recherche Scientifique, France—which had perfected a technique of equipping seabirds with GPS loggers. Nevitt recently analyzed the team’s GPS data to track wild foraging seabirds when they followed a scent to food. She also studies olfaction in fish, and in a March 2008 paper in the journal Science, she reported that reef fish also use DMSP and their sense of smell to find food. Gabrielle Nevitt’s work is supported by the National Science Foundation.